Professional dancers place a large amount of stress on their bodies, especially their lower extremities. In particular, ballet dancers are prone to developing foot and ankle problems. Dancing en pointe or demi-pointe is a particular technique that many female ballet dancers perform and it can cause foot and ankle injuries. The ability to dance en pointe requires the dancer to undergo many years of training to build up her physical strength, balance and coordination. The technique involves excessive plantarflexion of the ankle and often puts the flexor hallucis longus (FHL) under a lot of strain, leading to tenosynovitis of the FHL tendon. Tenosynovitis of the FHL is an entity that rarely occurs in the general population but can affect ballet dancers due to the strain on the tendon while the dancer is en pointe and demi-pointe. There are many factors that can predispose the patient to putting an increased amount of stress on the FHL and causing subsequent injury. These factors include ligamentous laxity, poor en pointe technique and pronation of the foot. The FHL passes posterior to the medial malleolus deep to the flexor retinaculum along with the posterior tibial tendon, the flexor digitorum longus tendon, the tibial nerve and posterior tibial artery. The FHL then courses through a groove between the medial and lateral tubercles of the posterior portion of the talus. The tendon then passes under a fibro-osseous tunnel plantar to the sustentaculum tali before it courses toward its insertion into the plantar aspect of the hallux. A dancer with FHL tenosynovitis will often present with pain and swelling at the posteromedial aspect of the ankle and where the FHL courses around the sustentaculum tali. The symptoms are often exacerbated by jumping or attempting to go en pointe or demi-pointe. There may be pain in the posterior ankle in association with movement of the great toe. Patients often will complain of a “sticking” feeling in the posterior ankle and will state that something, usually the FHL, is getting caught in the posterior ankle region. With longstanding cases, there may also be stenosis of the tendon. This can make the great toe freeze in the plantar position and subsequently require manual release of the contracture. The physical exam will reveal tenderness over the FHL tendon and its associated sheath posterior and inferior to the medial malleolus. Resistance to flexion of the hallux will cause patients some pain. Passive range of motion to the hallux may produce some discomfort or may occasionally cause a snapping of the FHL. Resistance to the FHL may be painful. Often, one can best elicit pain by placing the ankle in the plantar position and pressing on the FHL tendon region while moving the great toe into a forced dorsiflexion position. This will result in pain and a feeling of tenderness at the point of manual compression in the posterior ankle region. Take care to consider that symptoms of os trigonum pain can cause a similar sensation. Furthermore, flexor hallucis longus pain may also cause tarsal tunnel type symptoms so take care to differentiate between the two. Tarsal tunnel pain will not be worse with forced plantarflexion of the ankle and often, direct pain on the nerve does not cause irritation like it will with FHL tendon symptoms. Take radiographs to rule out an os trigonum. An os trigonum is an accessory ossicle to the lateral tubercle of the posterior aspect of the talus and will present with similar symptoms to a tenosynovitis of the FHL. This ossicle can become irritated and cause pain during plantarflexion of the ankle. Magnetic resonance imaging (MRI) can be useful in evaluating any tears in the FHL tendon and any sources of impingement of the FHL. A low-lying muscle belly of the flexor hallucis longus can cause impingement when the ankle is in a plantarflexed position. An accessory muscle of the flexor digitorum longus may also be present and impinging on the FHL. One may also evaluate an os trigonum with MRI. Magnetic resonance imaging is also useful to rule out any other sources of pain in the ankle. It is advisable to review the images with a radiologist and describe symptoms that the patient has as radiologists who are not familiar with this problem may miss subtle changes. A space occupying lesion or ganglion cyst can also cause posterior ankle pain. Furthermore, in certain cases, a forced plantarflexed position of the ankle and repeat MRI may be necessary to see a low lying FHL muscle impingement causing posterior ankle pain. One of the best diagnostic examinations for FHL tendonitis issues is dynamic ultrasound. This allows real time testing of the FHL tendon while it goes through range of motion. Ultrasound often can be the best option for the diagnosis of stenosis or an impingement of a low-lying muscle belly. Often, one can combine an ultrasound with MRI to check for os trigonum problems or posterior ankle impingement. Treatment of tenosynovitis of the FHL involves resting the area and reducing the inflammation with ice and non-steroidal anti-inflammatory medications. Physical therapy can also help reduce inflammation with stretching, strengthening, massage, ultrasound and other modalities. Depending on the severity of the symptoms, immobilization of the tendon with a cast or boot may be indicated to allow the tendon to rest. Rarely should one perform injections of corticosteroids secondary to the risk of weakening or rupturing the tendon. If you are performing a corticosteroid injection in the sheath of the FHL, be sure to immobilize the patient in order to reduce the risk of rupturing the tendon. Surgical treatment is indicated when symptoms persist despite conservative therapy. Surgery consists of releasing the FHL tendon retinaculum posterior to the medial malleolus and continuing down to the level of the sustentaculum tali. Put the great toe through range of motion in order to visualize unrestricted motion of the tendon. Inspect the FHL at the time of surgery. Debride any synovitic tissue and repair any longitudinal tears of the FHL. If there is a low-lying muscle belly of the FHL, one can also debride this to reduce impingement while the ankle is in a plantarflexed position. There is a possibility of an accessory flexor digitorum longus muscle belly, which may be impinging on the FHL. One can debride this muscle at the time of surgery to prevent further impingement on the FHL. The complications of the procedure include stiffness and recurrence of the tenosynovitis with an inadequate release as well as possible subluxation of the FHL. Posterior ankle pain often goes overlooked in dancers and athletes. 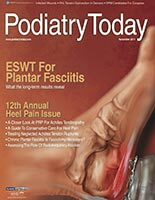 The FHL tendon is often a subtle source of pain and one must consider it in the differential of posterior ankle pain in athletes, especially dancers. With proper examination and diagnostic testing, conservative care or surgical care and postoperative protection have shown excellent outcomes.